Sorry. I just couldn't resist. 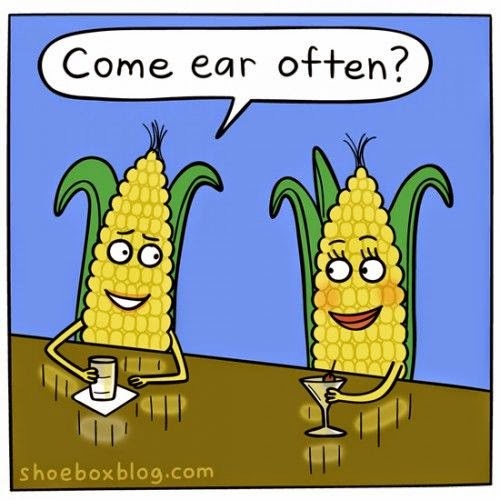 You can't talk about corn without throwing in a corny joke. In case you hadn't figured it out yet, corn is today's subject matter. Last month, I talked about corn harvest and shared some photos, but I never really discussed why or how we grow corn here in the Texas Panhandle. While Texas doesn't come close to comparing to the Corn Belt's corn production, it is an important crop here, especially in the Panhandle. 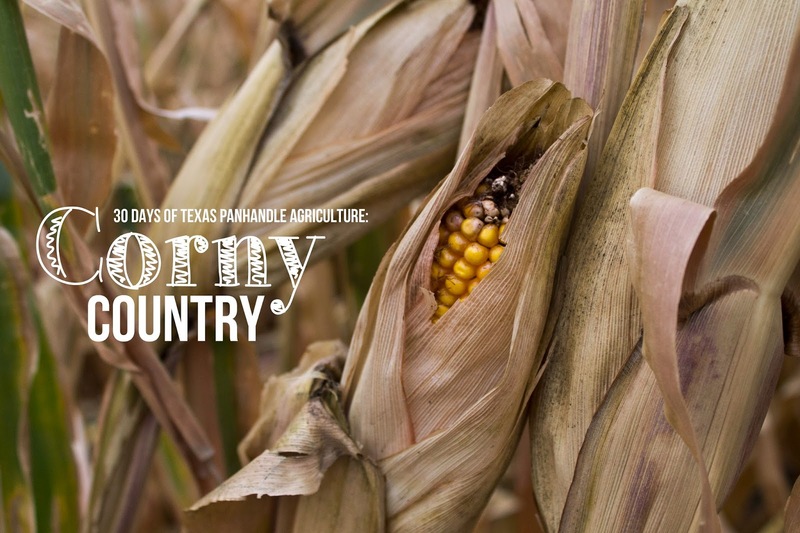 In 2009, Texas ranked 12th in the U.S. for production of corn for grain, harvesting 254 million bushels. Since people really like steak and because beef is our leading commodity here in the Panhandle, we grow corn. A large percentage of the corn grown here is used here, if not nearly all of it. Growing corn here isn't quite as easy as it is in Iowa, however. While Iowa believes in this thing called "rain," we don't have that luxury. Corn requires a lot of water to grow and yield well so we plant our corn on our best irrigated circles (or fields). If water becomes a larger issue than it already is, we may have to rethink growing corn, unless the drought tolerance of corn is increased. Speaking of drought tolerance, agriculture companies are already working on that challenge. Monsanto has its Genuity DroughtGard gene. DuPont Pioneer has labeled some of their hybrids as AquaMax hybrids. Syngenta AgriSure Artesian corn hybrids are also on the market and are supposed to be more resistant to drought. All of these companies are striving towards providing more grain with less water, and as someone who lives and farms in an area where water is limited, I really appreciate these efforts. It will be interesting to see what the future brings for corn in the Panhandle, but I know farmers here are thinking proactively about their groundwater and how to manage it best short term and long term. Farming is ever-evolving and is completely reliant on Mother Nature. It isn't up to us to determine if it will rain or not. However, it is up to us to determine how we will best handle whether it does or doesn't rain. That is the challenge we accept when we decide to be farmers. This is the eighth day of my 30 Days of Texas Panhandle Agriculture Series. To read more, please visit this introduction post. If you have questions or ideas about Texas Panhandle agriculture, I'd love to hear them! Great post. I am from that corn belt you speak of in Iowa! We just wrapped up harvest. Unfortunately, no rain came in July when we needed it so our yields weren't that great. Oh well, I guess that is farming and the high cattle prices have made up for it! Thanks for reading and commenting, Crystal! So sorry to hear about your lack of rain. Mother Nature just doesn't like to cooperate at the right times for us, does she? Our corn yields weren't as high as we had hoped here either, even though we had good moisture at the right times and cooler-than-average temperatures. 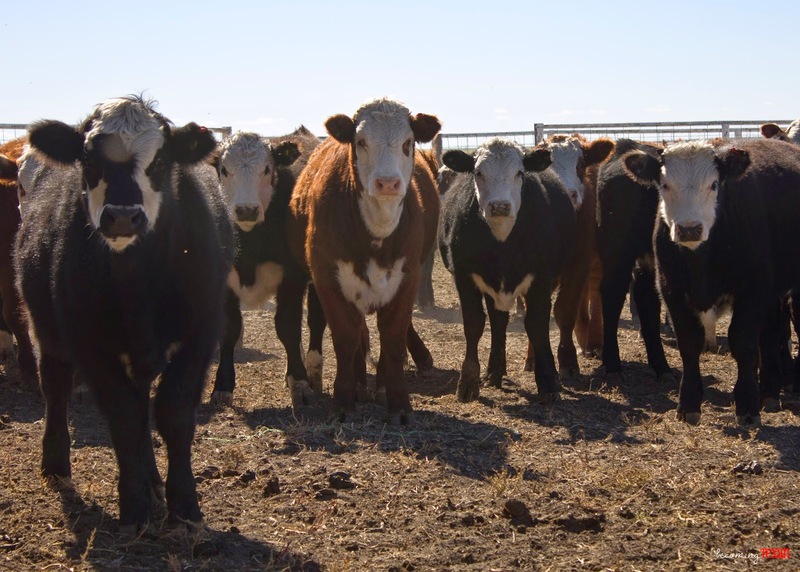 But like you said, at least the cattle prices are high! Thanks again for reading!